The Auto and Tire Industries have a bad history regarding manufacturing defects, design defects, crash-worthiness and other failures and problems that have caused severe injuries and death for thousands of persons. There may be defects both in manufacturing or design which can cause tire tread separation leading to tragic consequences. 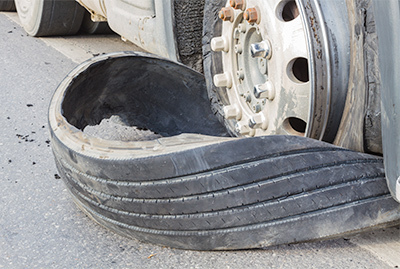 There may be failure to warn issues regarding age of a tire that is purchased and used against industry recommendations. Over the last few decades fatality rates have decreased thanks to auto and tire safety advocates who bring pressure upon the government and the industry to create and follow regulations and recommendations that serve to improve crash-worthiness, design and manufacture of products used in the vast auto and tire industries. If someone in your family or a friend has suffered a tragic incident, there may be factors involved that should have been avoided or fixed so as to offer a safe auto or tire. We are happy to discuss these issues with you and can investigate crashes that may be caused by the negligence of others or by corporations.